Pharmacist, skin care lover and make up guru! Smells great and gets my dishes and hands clean! Great gentle and non drying on my hands! This scrub is fine. It does have a very fine grit to it but overall, I haven’t seen any immediate or long term benefits with blackheads or clogged pores. I will not be buying again. Great product! It works well, doesn’t cause a significant crunch factor to the hair unless you apply too much! Also, of note, the scent is not over powering which is always a bonus in my book! I simply adore these makeup removing wipes. I used to always buy the generic brand ones because it’s the “same thing” but my Ulta recently had them on sale so I bought the brand name ones. THEY ARE NOT THE SAME! These wipes are such a better, higher quality texture/fabric with improved makeup removing capabilities! I will never buy the generics of these again! 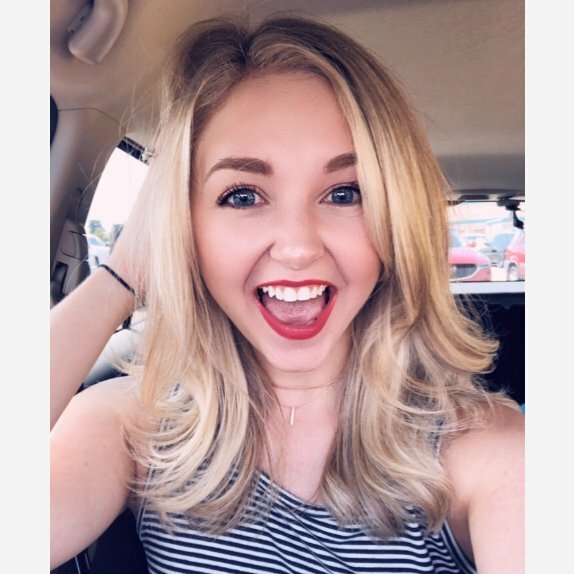 I received this product from Influenster about 1 year ago and STILL love it! I make sure to use it when I travel because it is so incredible at treating dry or dull spots as well as after a long 12+ hour day at work! I typically only apply this all over the face about once a week on skincare Sundays to get my face prepped for the coming week. It has never caused any breakouts or problems that I can tell! This is one of the only tubes of lip balm that I can actually keep until it’s completely used up! It is so nourishing and hydrating and truly seems to help your lips in the long run. I highly recommend this product! Love the Venmo app! It makes transferring money to your friends for SO easy! Gone are the days of the headache of splitting an impossible bill at a restaurant, bar, trip, etc! This app makes it fun and easy to request or send money! IKEA- everyone loves it! I recently purchased a large white entertainment center here and loved how easy it was to customize the size shape and door type that I wanted! The assembly was not the most fun in the world (5+ hours) BUT I truly love my entertainment center and would recommend everyone to try them out! Love using Wayfair! Everything I have purchased (couch, bar cart, awesome painting) have all come well packaged and shipped fairly quickly!! The shopping experience is a little overwhelming, but they have a great selection of filters to use to really help you narrow down what you need and are truly looking for! I will always use Wayfair (and their super easy user friendly app) for new decor! Did I mention their great sales? ?